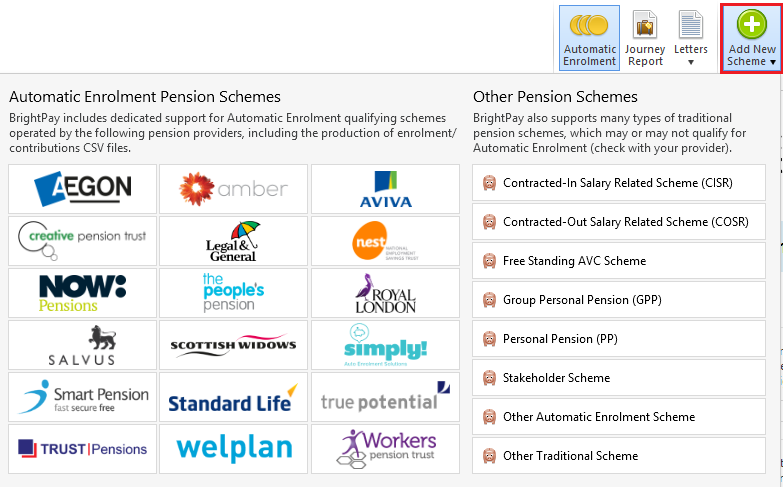 2) Next, enter the details of your automatic enrolment pension scheme(s) within the Pensions utility. 3) Return to Payroll and set up your Payment Schedule, if not done so already. Enter the pay details for each employee in your first pay period if known. 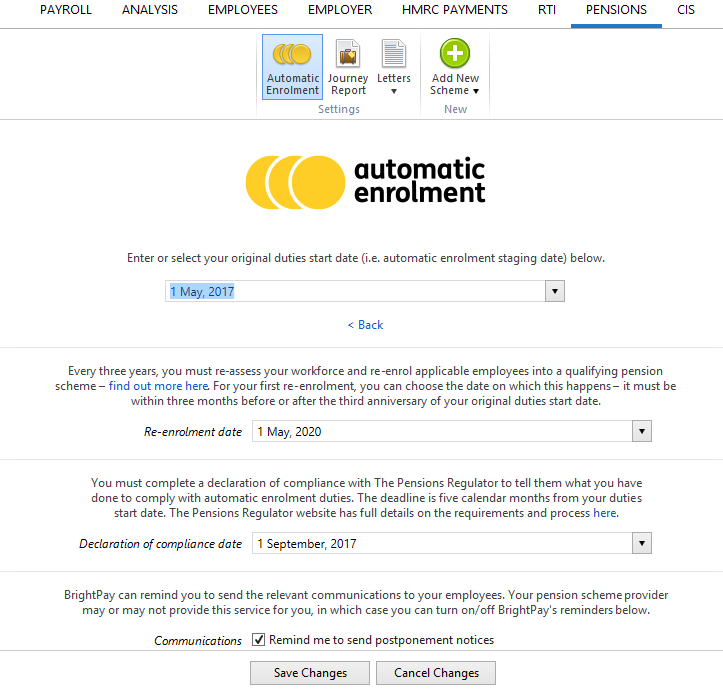 4) Within Employees, select the first employee in the listing and click their Automatic Enrolment tab on the menu toolbar. Enrol - if the employee is currently enrolled into the pension scheme. Postpone - if the employee is currently in a postponement period. Go - if the employee was enrolled in a pension scheme but has now opted out or ceased. Should this apply, enter the correct 'opt-out' or 'cessation' date on the next screen. The information entered here will be used at your re-enrolment date to assess whether the employer qualifies for re-enrolment. Letter - if the employee has been issued with their 'right to opt-in letter' and have not taken any further action, simply click 'Letter' followed by 'Mark as Done' . Opt in - if the employee is currently opted into the pension scheme. Letter - if the employee has been issued with their 'right to join letter' and have not taken any further action, simply click 'Letter' followed by 'Mark as Done' . Join - if the employee has joined a pension scheme. 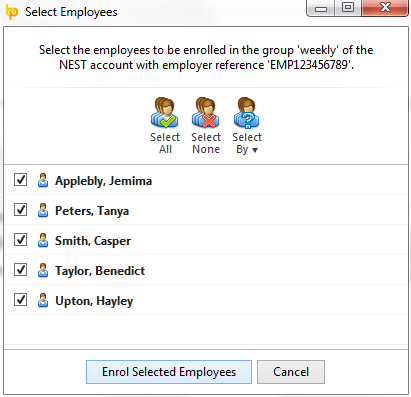 Repeat step 4 for each employee in order to update their automatic enrolment information. BrightPay facilitates the batch processing of employees who have the same automatic enrolment settings, thus eliminating the requirement to automatically enrol, postpone, etc. employees on an individual level.